If you want to experience the latest in packaging solutions,PACK EXPO is the place to go. Specifically, booth 7463 — where we’ll be showcasing Technimark’s technology driven ingenuity in new products and category-defining packaging. 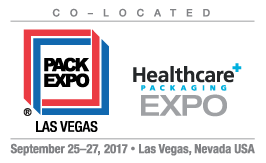 Additionally, PACK EXPO is being held in conjunction with Healthcare Packaging EXPO this year! Technimark’s medical and healthcare experts will also be on hand to discuss our innovative products and capabilities in this rapidly evolving industry. Want to join us in Las Vegas for this year’s exciting event? Use code 38U54 for a complimentary registration and discover how to put the power of innovation to work for you. Come see for yourself. And see what’s next.